The U.S. Treasury’s Office of Financial Research (OFR), the body created under the Dodd-Frank financial reform legislation to make sure another 2008 epic crash never happened again, quietly released a report last week which not only suggests another 2008-style crash is possible but that regulators will likely be blindsided again. To illustrate how dangerous this kind of capital relief arbitrage can be, the report says that JPMorgan’s London Whale trades (which blew a $6.2 billion hole in the insured bank) was a capital relief trade. 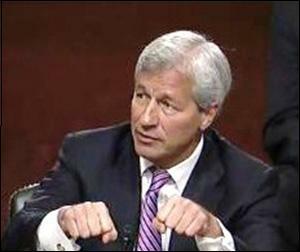 While few people actually believed Dimon’s version of what was going on, it was more widely believed that this was simply high-risk proprietary trading that JPMorgan did not want to admit to because it was occurring in its insured bank rather than its investment bank using its own capital.